Here’s ten essential tools which will help keep your machine running sweetly and keep your bike out of the workshop. The ‘go-to’ website for those needing guidance, Youtube, is always on hand to see the various tools in action. A staple essential for most bike related jobs, a good set of allen-keys will give years of service. Allen keys which feature a ‘ball-end’ (stop sniggering) make it easier to reach bolts at slightly awkward angles. 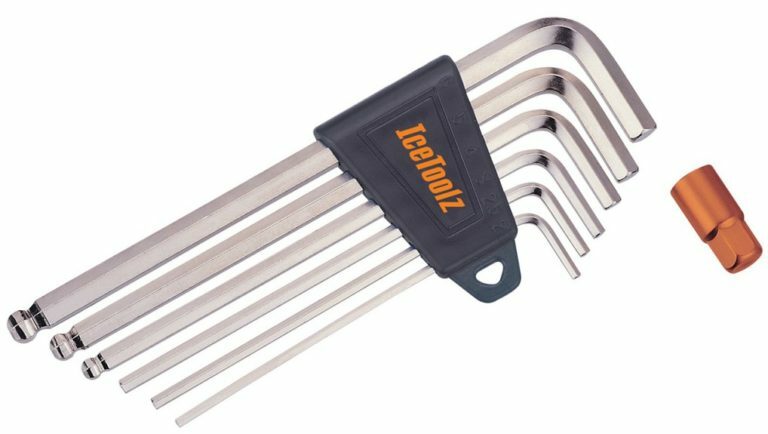 Invented by William Allen way back in 1910, they are also known as Hex Keys. Essential for adjusting the length of a chain and also for removing, rejoining chains and fixing stiff links. A good quality chain tool will last, giving years of reliable service. The chain whip makes life a whole lot easier when removing a cassette. The chain whip‘s main job is to hold the cassette and allow the lockring tool to do its job. Lockring tools are another vital tool for removing and replacing cassettes. They should be used in conjunction with a chain whip. 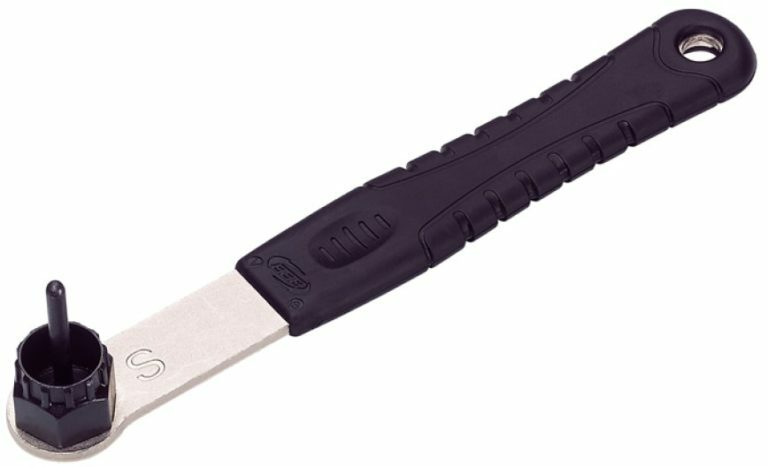 Lockring tools with a longer handle allow more leverage to remove even the most stubborn of lockrings. Riding regularly and often inevitably leads to bottom brackets wearing out. When they need to be replaced they often start to make odd noises. 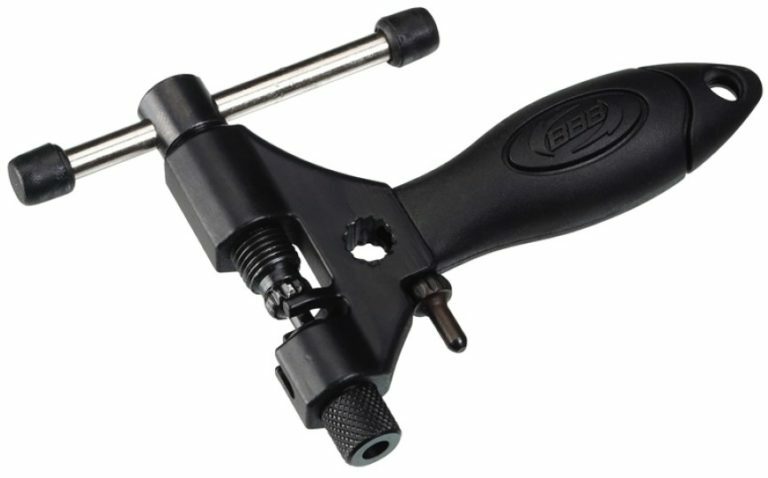 The bottom bracket removal tool is the only way to do remove and refit the bottom bracket. 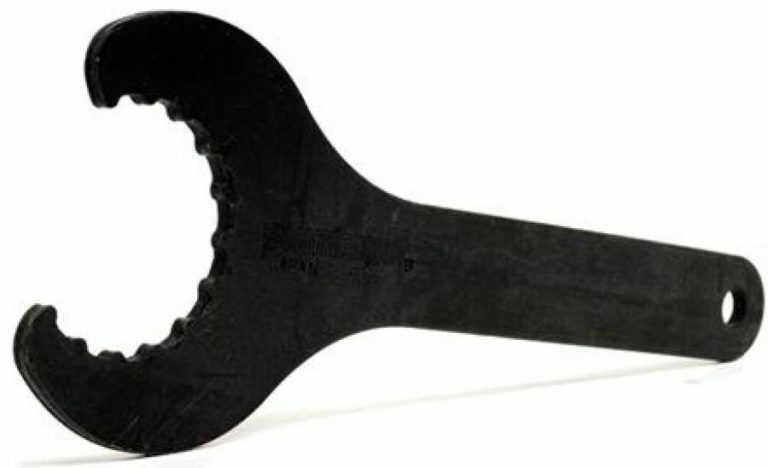 Possibly the simplest tool in a home mechanics tool box, the pedal spanner is another essential. 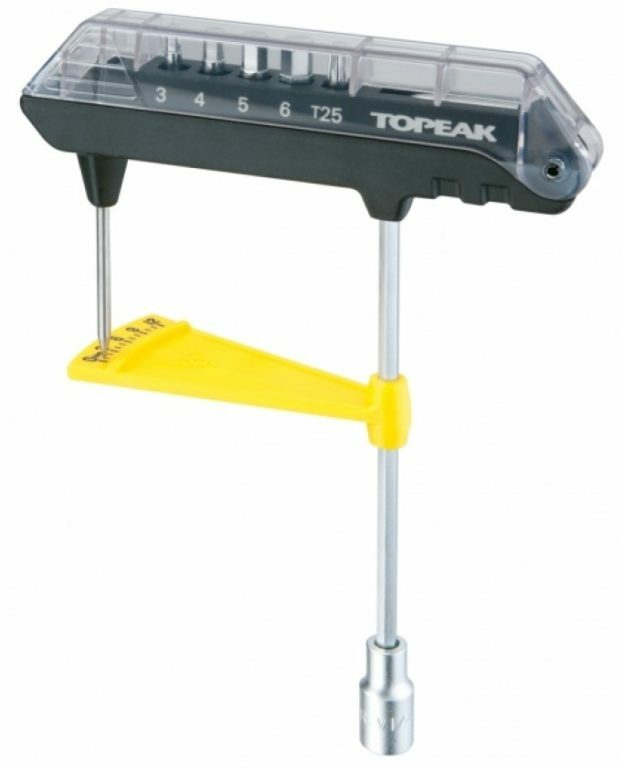 While some pedals can be removed with an allen key, most need a pedal spanner to remove them. Apply a little grease to pedal threads when fitting to avoid them ‘getting permanent’ with your cranks. 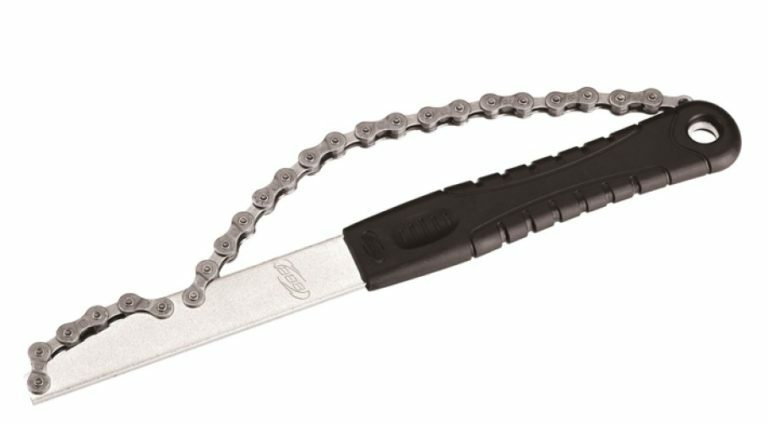 A good quality chain wear tool can save you money over the years. Knowing when your chain needs replacing means that your cassette and chainrings won’t get unnecessarily worn. Since chains are the cheapest drivetrain component to replace – this will save money in the long run. Avoid damaging your bike’s components by fitting them with the correct amount of torque. Using a torque wrench makes it easier to avoid over tightening (potentially destroying threads or cracking components) or under tightening (which can lead to the component becoming loose). Wheels take a lot of abuse. To keep your bike working efficiently, learn how to keep wheels true – this is a skill worth having for all riders. You will need a spoke key. If you regularly have wheel issues, learning to keep them spinning straight at home will make life easier. For occasional wheel benders, use the brake blocks as a guide to true the wheels. 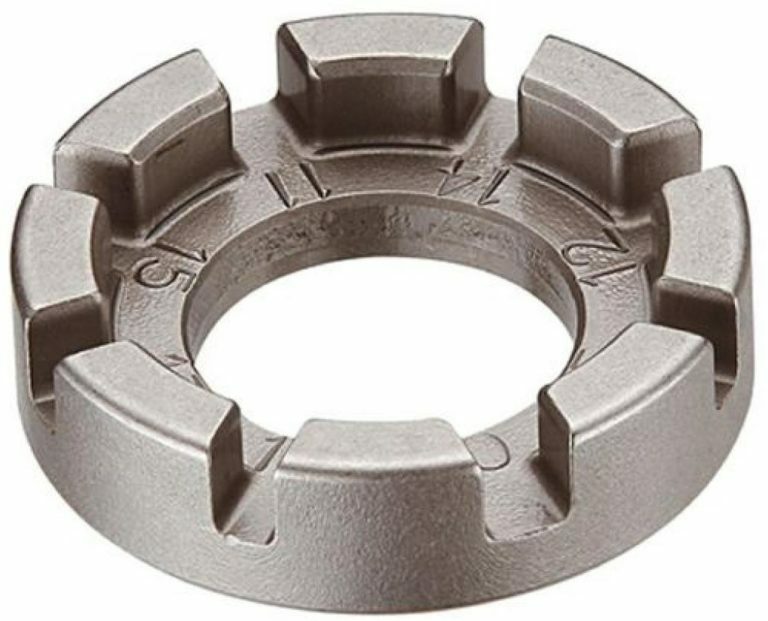 For those who constantly give their wheels hell – invest in a wheel truing stand – this makes fixing wheels much easier. 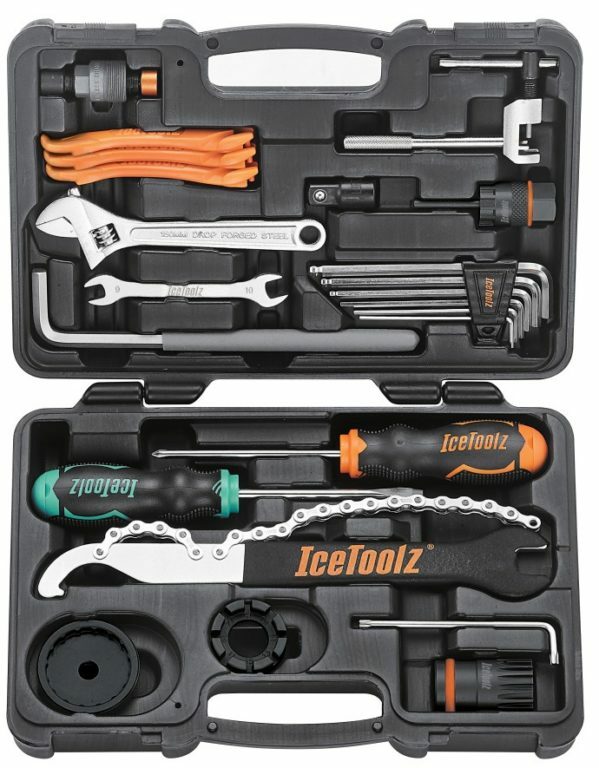 If you don’t have any tools at all, a cost-effective way to acquire everything you will need is with a tool kit such as the Icetools Essence or a Bike Hand full tool kit. 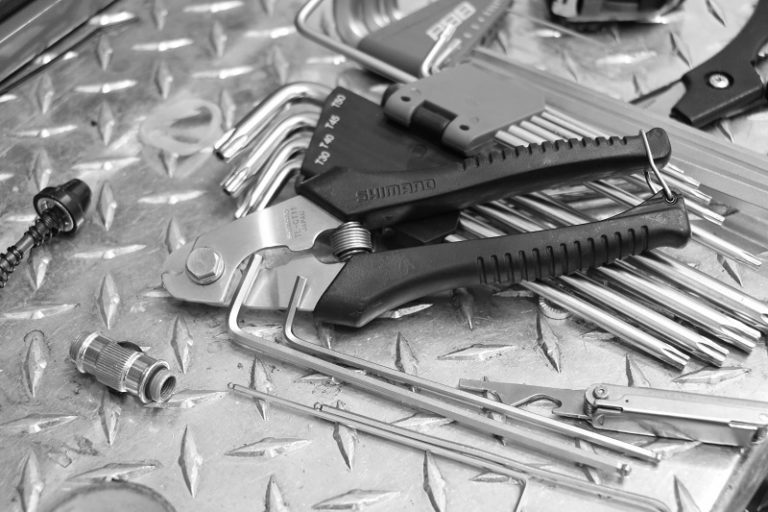 These tool kits include all the main tools needed to keep your bike running the way it should. Alternatively, bring your bike into Merlin Cycles workshop and have our professional mechanic team work their magic! 8 Things That Want to KILL your bike! Tagged bicycle maintenance, bicycle repair, bike fixer, bike fixing, cycle fixing, cycle maintenance, cycle repair, cycle tools, essential cycle tools, home mechanic, top cycle tools. Bookmark the permalink.